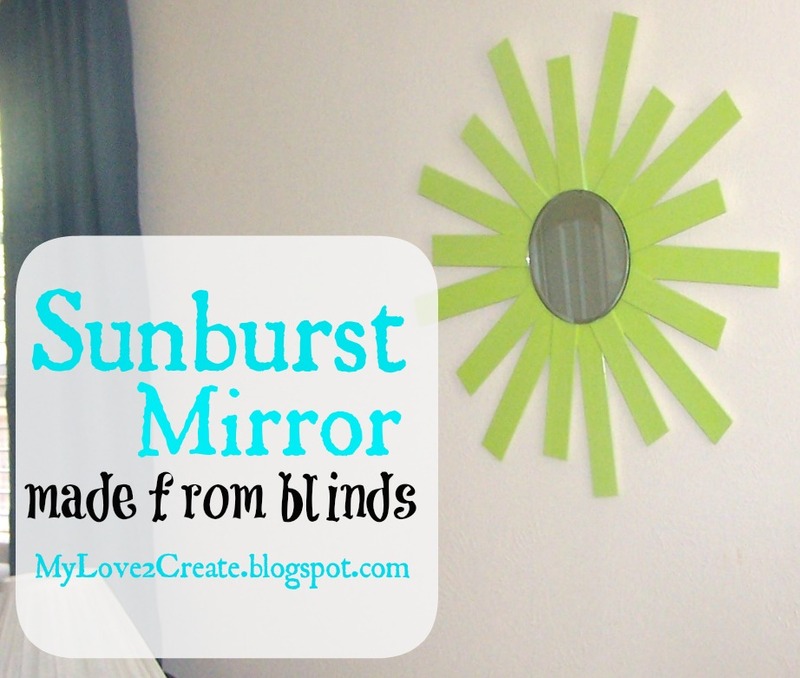 Today I am sharing a Sunburst Mirror made from Blinds! 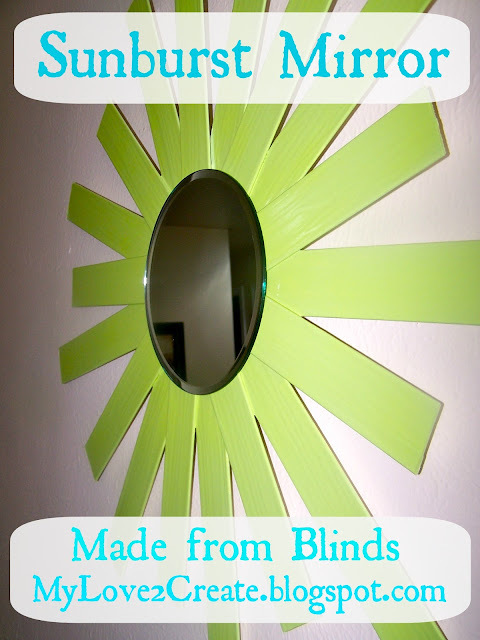 I had gotten some blinds off of the craigslist free section and had several projects in mind for them. 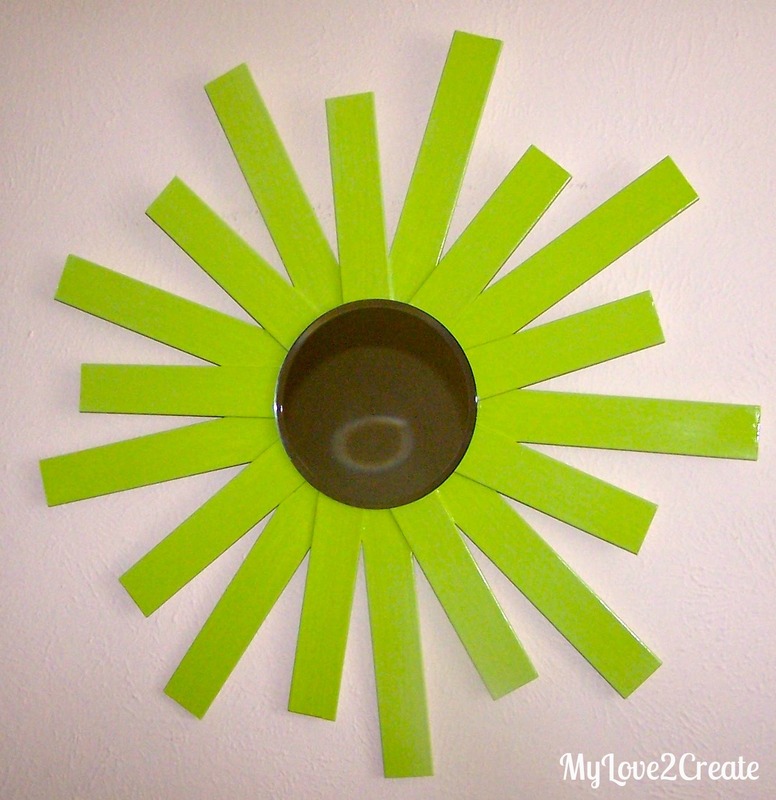 The first I made was my Sunburst Mirror. I used Gorilla Epoxy to glue the blinds down. This picture will give you an idea of how it went together. I laid down the bottom row, and then the top. At this point I marked with a pencil the angle I wanted to cut so that the blinds would not overlap. Then I cut them and glued them on. For the base I used the round top of an old kids stool. This is my sweet son holding it to the wall to see where we were going to put it. If you look closely you can see I decide to use my nail gun and secure the blinds in place. As I always say, "Better safe than sorry!" I used a sample paint from Home Depot that I got for 50 cents to paint it green. The mirror was a candle holder mirror I got at Hobby Lobby for $2.50 (with a 40% off coupon). It was the perfect size. So, mirror+paint=$3.00 Total! 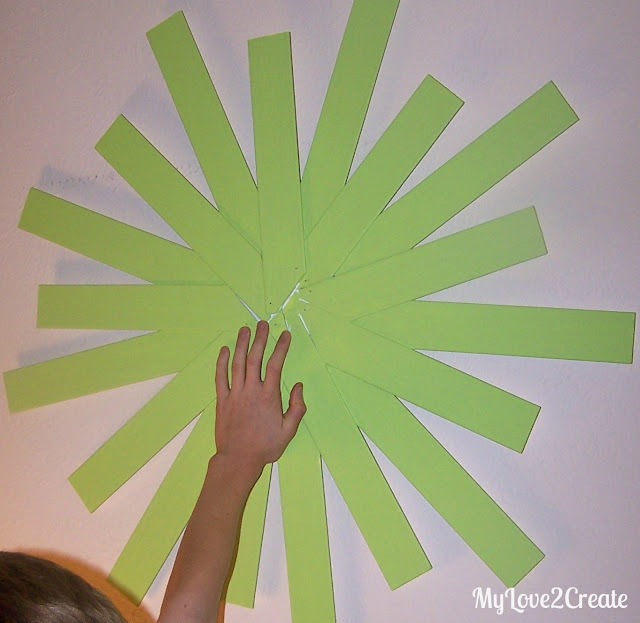 And I got to fill a really blank wall in my living room with a fun pop of color! I hope you come back soon for more great projects! 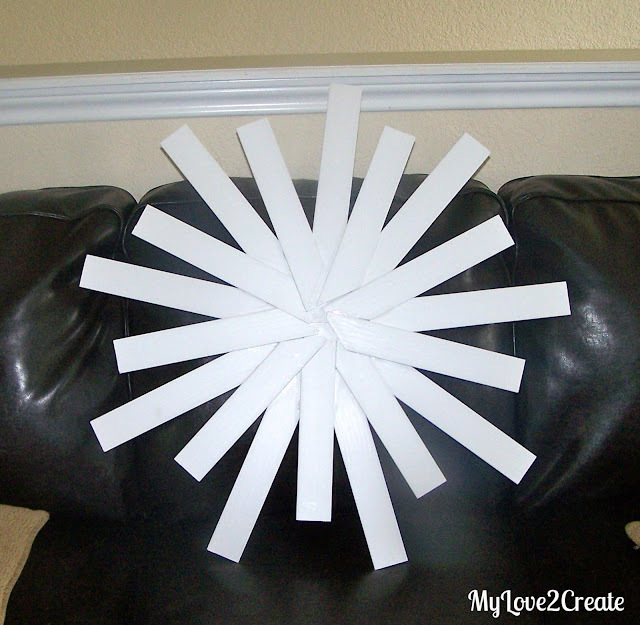 I already have a few that I am doing with old blinds. cute cute cute. Thanks for the shout out! Oh I love this...and how perfect for the kiddos rooms! Thanks for sharing and for stopping by Finding Fabulous the other day! Terrific upcycle - I'd have never known those were blinds!